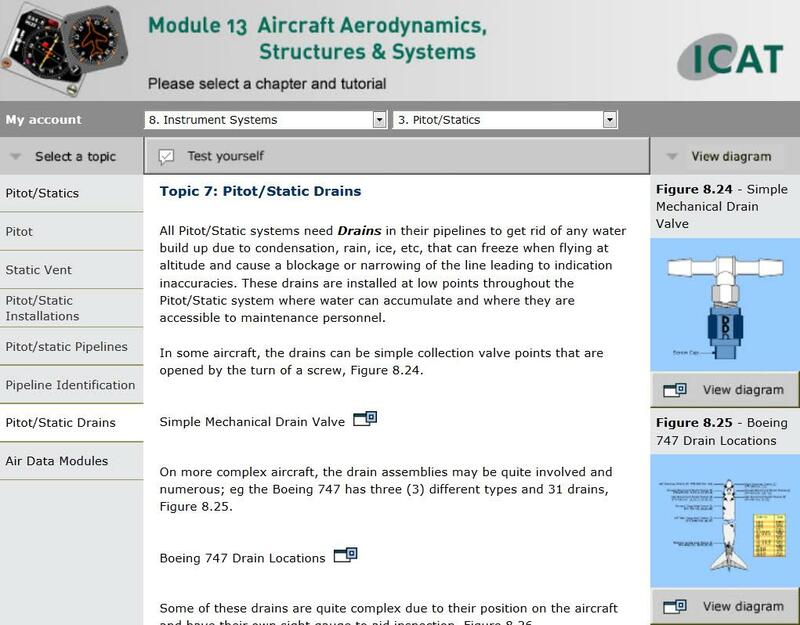 This is a full time intensive 7-month course that covers all of the modules for the EASA Part66 B1.1 and B2 Licence. Students will study all of the modules in a logical order, back to back. There is a 2 or 3 week break in the middle of the course, depending on the time of year, to allow students the chance to relax and spend some time with family, before returning to finish the course. The course fee includes all tuition in ICAT’s modern facility, study materials, revision aids, Exams and refreshments. 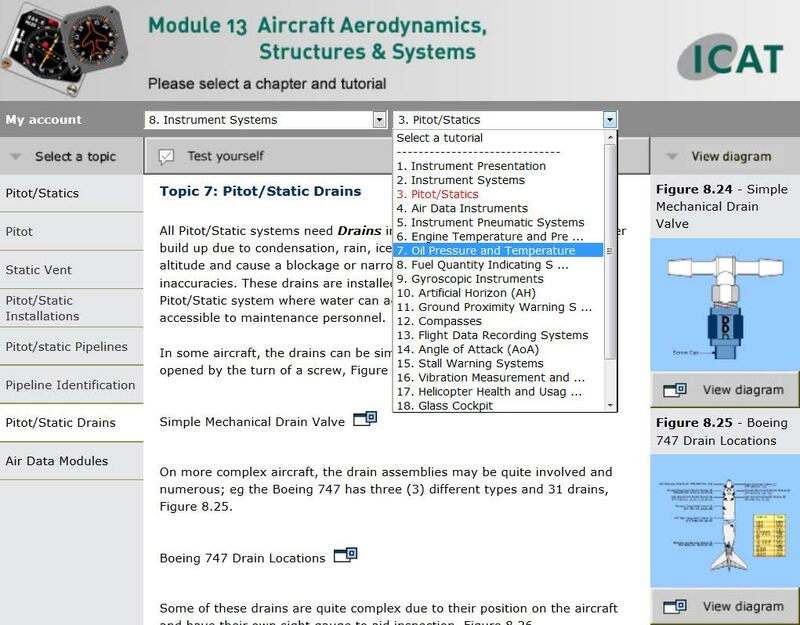 Students can also add EWIS / Human Factors / Fuel Tank Safety certification and CAP 741 Basic Skills courses at a discount, to the end of their course if they require it. Due to the intensity of this course, it is recommended that students have at least 3 years of aviation experience and meet a minimum academic requirement. Proof of this may be required on application and students may also need to attend an interview, in person or by Skype. Students will need to find their own accommodation. Cardiff is a large University City and there are many short term lets and rentals available for students and professionals. If you have any questions about this course, please email part66@cavc.ac.uk or see the courses page of this website for dates and fees. For students who only have a few modules to complete, or who want to pay as you go with the distance learning course, we offer each module as a standalone distance learning package. Students enjoy the same high quality study materials and support as they would on the full distance learning course, but pay for one module at a time. One attempt at the exam is included in the price and a discount of 10% is applicable to students who wish to attend the associated revision tutorial. Short courses are full time courses that enable students, who have had no previous study of the module, to be well prepared for the exam on the final day. The course fee includes all study materials, tuition, revision support, exam and refreshments. Students will need to find their own accommodation. Cardiff is a large University City and there are many short term lets and rentals available for students and professionals. For more information on these courses, please email part66@cavc.ac.uk or please see the courses page of this website to view the course dates and prices. Revision courses are designed to give students the opportunity to check their knowledge prior to sitting the Part-66 module exam. It is imperative that the full module has been self-studied prior to attending. Revision courses can be as short as 2 days and as long as 9 days depending on the size of the module. The instructor will go through the module and will concentrate on the areas where the students’ knowledge is lacking. Instructors also give practice question and answer papers to identify the areas where students are struggling. They will then make sure that those areas are addressed, allowing the student to sit the module exam with confidence. Revision course costs includes all tuition, study material, access to our revision support website, refreshments and the exam. Should the worst happen and the student fails the exam, we also include one free resit. Revision courses are very popular and booking is essential. A cut off for bookings is applied to revision courses and this varies depending on the size of the module. As the student must self-study before attending, we won’t accept applications after the deadline as the student will not have had enough self-study time. This may be reviewed in exceptional circumstances, e.g. Someone taking the exam for a second time.